Please book your appointment at least 24 hours in advanced. Sometimes same day service is not available for new clients due to my schedule. Not only do I provide office appointment but I perform out call and doula services too. My schedule is on a first come first served basis. You may call the office at anytime. If I have same day availability I can place you on the schedule. By scheduling your appointment ahead of time, it ensures you have that time scheduled especially for you. It is your time to relax and enjoy your massage. I send out reminders via email and by text a day before your scheduled session. To ensure you do not miss your allotted time please put it on your calendar. By arriving a ten minutes early this helps reduce rushing and stress. This time is set aside to become familiar with me. This time is necessary to fill out paper work before the session begins. If you need a little extra time on paper work, you may go to my web site to find the forms. Your time begins on the hour you requested. Depending on my schedule late arrivals may have time deducted from their appointment time. The question you should be asking what type of massage the massage therapist provides or specializes in, how many years have they been in business business and are they qualified to perform the work on you or a loved one. Are they compassionate? Do they care about your health and well-being? Will they be there after your massage? Will they tell you what you need to do to maintain your massage? Regardless of the amount you pay, if you have a well qualified therapist that shows compassion and is knowledgeable, the massage worth is priceless. Price should be the last thing on your mind. You are interviewing a possible therapist to work on your body whether it be relaxation or medical. You are interviewing for a possible long-term massage therapist. Trust must be earned from both parties involved. You are allowing someone into your personal space to perform a massage on you. Massage is intimate. Within five minutes of meeting someone, you are giving them your faith and trust that they are knowledgeable in their craft. You want to be as comfortable as possible with the therapist. That is why you interview before the massage takes place. By someone calling to only inquire about the price of a massage only tells me that you do not care what my business has to offer nor how I can assist in your long-term massage therapy goals or needs. It tells me you are not serious in booking a massage at all. You are wasting your time including mine if price is your only concern. If you cannot afford the price of a massage I can always work something out with you. There is nothing that cannot be negotiated in life. Remember, I do perform a service for a fee. I am not a commodity nor a product. You will never see me on groupon nor deep discounting my services. I will not send out daily texts or even emails weekly to bother you about specials. I don’t “do” discounts or specials. My personal view of massage therapy is not that way and should never be treat as such in my opinion. I’m not a fly by night business. I have been in business for nearly six years with fourteen years experience in massage therapy and in the healing arts. I’m a professional and that would be a disservice not only to you but to my profession if I treated massage therapy as a product. A question I pose is that would you treat your doctor the way you treat a massage therapist? Massage is a life long goal for health and well-being. It will assist in all aspects of life. From relaxation to prenatal to muscle injury but not limited to the every day stress of life. Massage helps to better improve your quality of life. It helps increase circulation, breaks up muscle adhesion, reduce trigger point formation, calms the mind, relaxes the muscles and the list goes on and on. Ask me how massage therapy can benefit your condition. I can give you a answer. If you are on the fence you are more than welcome to review my web site http://www.massageandhealingdfw.com/ to make a informed choice. There is plenty of information to read for your review. 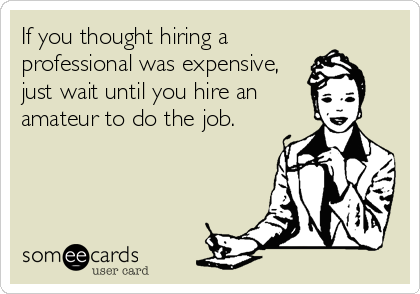 You certainly will get what you pay for when you ask questions and are informed about what massage therapy really is all about. It will make you a informed consumer and client. “You are paying for quality not quantity.” Be a client not a customer. Massage therapy is a partnership involving both client and the therapist. The therapist communicates and works with you in massage therapy goals and needs. It is vital that you do communicate with your therapist. Please consider all of this before calling any massage therapist. Have you ever been ticklish when receiving a massage? Do you wonder why you are ticklish some massage sessions and not in others? Our muscles hold tension in many ways such as ticklishness, pressure, pain, tenderness and numbness. Tension in tight muscles and restriction of fascia may cause a ticklish sensation when you receive a massage. Fascia that has become solid will restrict muscles forming adhesion’s where pressure points are involved. (Fascia is a web like covering over the muscles and is connective tissue that holds everything together.) This may cause an area of the body to become sore, ticklish or tender to touch. The way to release the connective tissue is to use hot stones massaging the area of tension followed by lite stretching of the fascia. The body relaxes so I can begin the process massaging the muscles. When I have a client that has extremely tight connective tissue I love to use hot stones to massage the area affected. Not only does it relax the fascia and muscles but the stones help break up knots, too! I use this method to help clients that are extremely ticklish. Clients enjoy the warm heat and best of all it’s a great treatment. Once the body relaxes, the ticklishness will cease. Always remember being ticklish is just another form of tension in our bodies that we need to address. Never allow being ticklish keep you from getting the help you need. There are techniques to remedy the feeling.